Insolroll manufactures exterior roller shades for covering windows, decks, porches, pergolas and other outdoor patio structures under the Oasis® brand name. 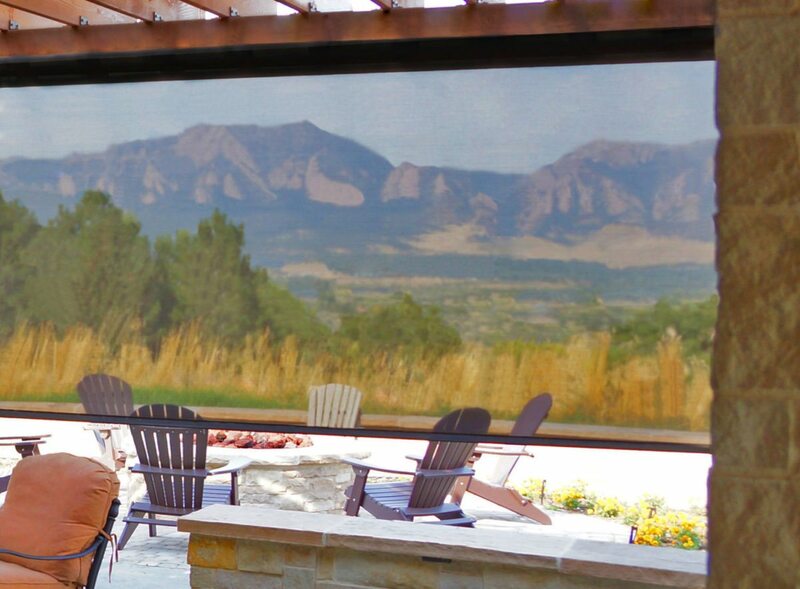 All our exterior roller shade systems are designed to control heat and glare while maintaining the view of the outdoors, and are the most effective shading solution for outdoor living spaces and the outsides of windows. The benefits of solar screen shades make them a clear choice for this extension of residential and commercial window treatments. Outdoor living spaces such as patios, pergolas, porches, decks and balconies can be prohibitively hot at certain times of day, especially if they face west. Oasis® Patio Shades are designed to keep these spaces cool and visually comfortable. We offer several unique exterior roller shades that provide options for protection from glare, heat, and harmful UV rays. A wide selection of fabrics, hardware and finishing options allow the perfect, unique solution for any home or business. Stopping the sun before it enters the glass of your windows is the most effective way of decreasing heat gain inside, and therefore reducing cooling costs. Exterior roller shades are a European concept for energy management that is gaining popularity in the United States. Insolroll has fabric and hardware solutions for every window application. Oasis® 2900 Solar Insect Shades are the quintessential solution for both sun and insect control. This exterior roller shade system utilizes 4 sealed edges to prevent insects from entering the covered patio or deck area, and can be fabricated in a variety of solar screen fabrics and even specialized insect screen with small enough apertures to stop very tiny bothersome insects such as the infamous “No See Um” biting midge common to coastal Florida and the Caribbean. When bugs and sun are not a problem, the screen can be fully retracted for an open air patio once again.